What is an electronics showcase when it doesn’t come coupled with one or more 4K Ultra HD announcements? 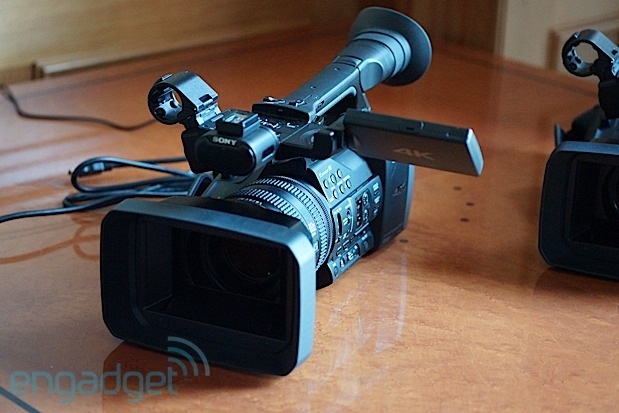 Sony finally took the curtains off its first 4K consumer camcorder, the new FDR-AX1 4K Handycam. The camcorder can record in both 4K and HD movies in XAVC S format, which uses MP4 AVC/H.264 Long GOP for video and Linear PCM for audio compression, while saving files in an MP4 wrapper. Hardware wise, the FDR-AZ1 features a 4K image sensor that allows the big and powerful device to capture stunning image quality. It has a 1/2.3-type Exmor R CMOS sensor that captures true 4K resolution (3840 x 2160) images, containing four times the detail of Full HD, and has the output speed required by the massive 4K 60fps data stream. Other specs include G Lens, 20x optical zoom with Optical SteadyShot, four filter settings, five paint functions, uses two XQD memory card for smooth, high-speed reading and writing speed, HDMI 2.0, and will be available in October for USD$4,499.99. Yahoo! Announces its New Logo, Say Hello to the New Yahoo!